A nine-year-old Denver boy ended up taking his own life after being bullied for telling his classmates that he was gay. His mother is now trying to spread awareness as she grieves the loss of her son. 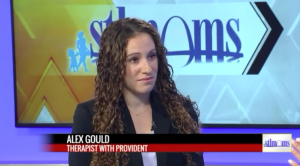 Alex Gould, a licensed therapist from with Provident, joins Fox 2 news to discuss the mental health of young children as explains why this time of year is particularly difficult for them. Click here for the story.